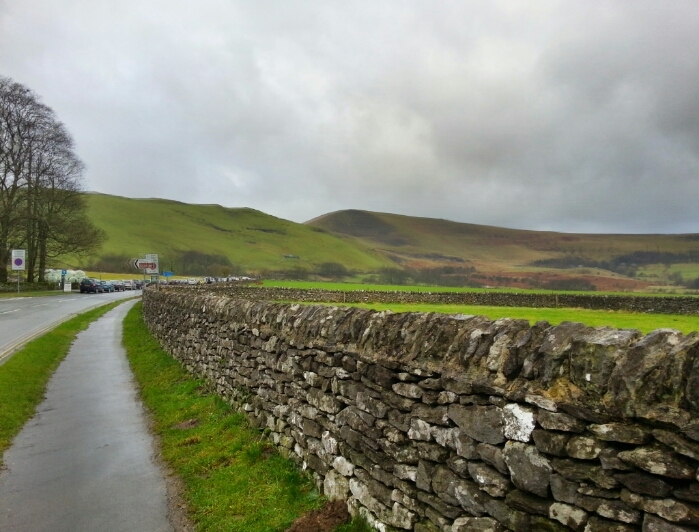 Hope to Edale via Castleton. 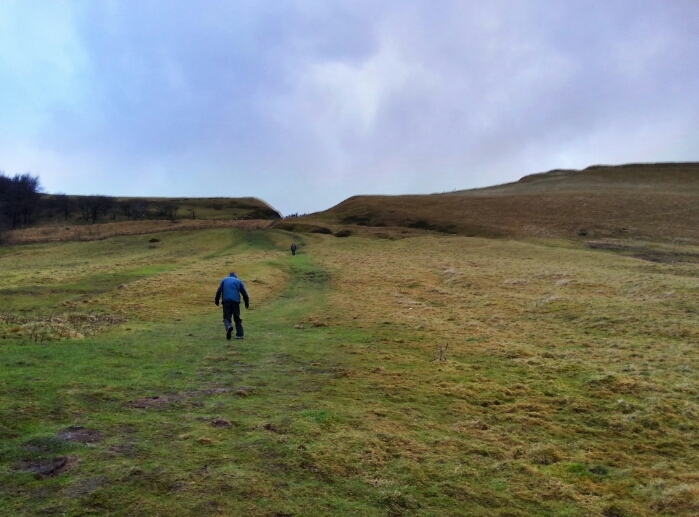 This a walk with breathtaking scenery and spectacular views at the western end of the Hope Valley, can be steep and difficult in places. 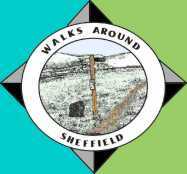 To start this walk take the train from Sheffield to Hope. These are the Sheffield to Manchester stopping trains.If You prefer you could catch the 272 Sheffield to Castleton bus and alight anywhere between the end of the Station lane just before Hope village and Castleton bus station to pick up on this walk. 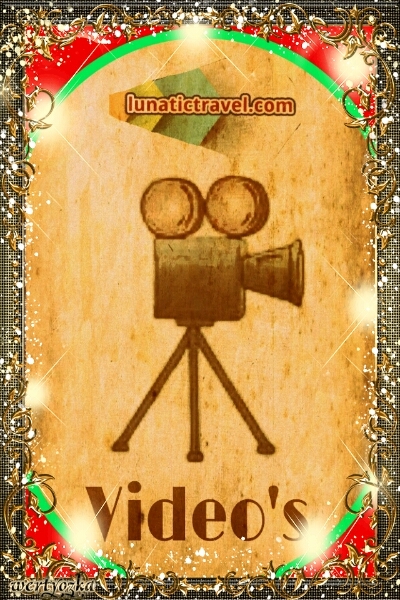 See travelline for details of times etc. 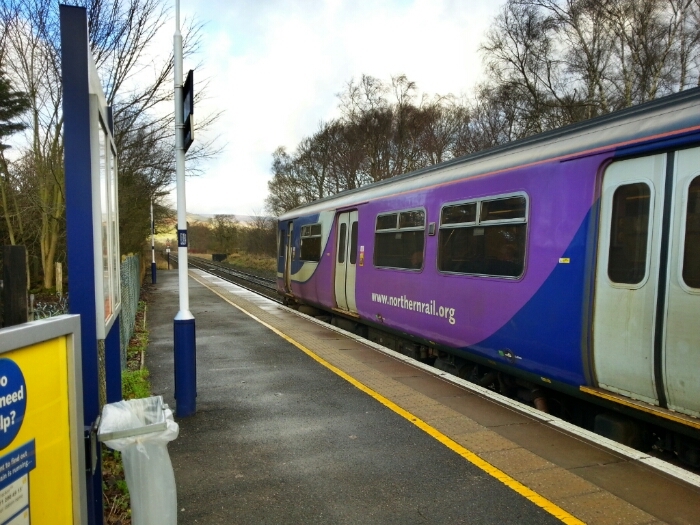 A train about to leave Hope End route from Sheffield to Manchester. 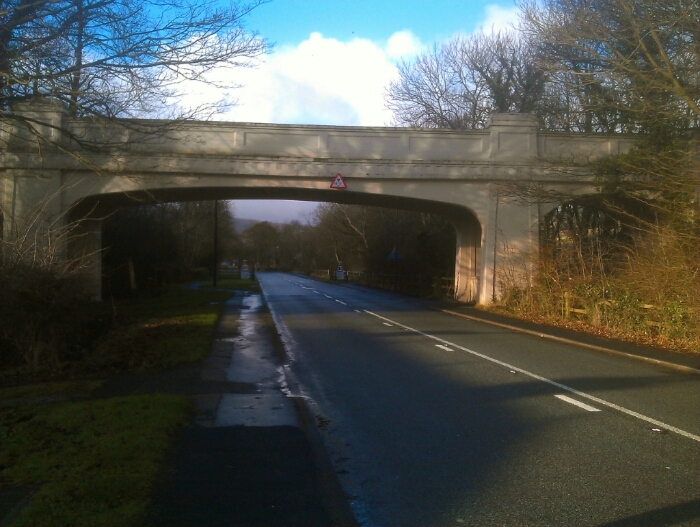 If you have caught the train walk down the station lane to the main road and then turn right towards Hope village. 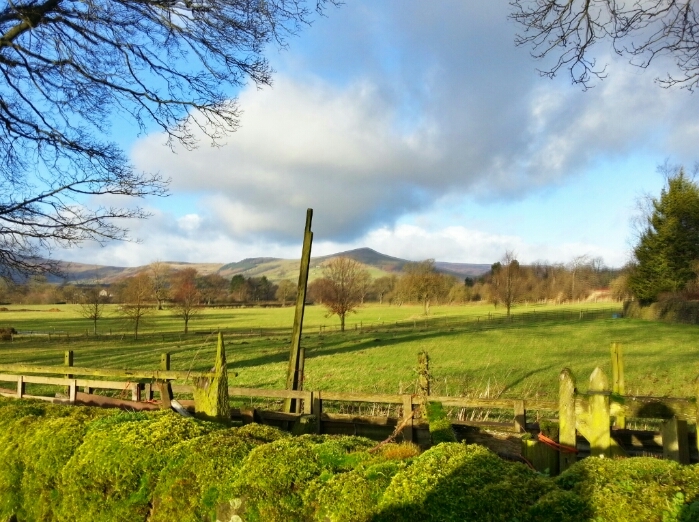 looking towards the ridge between Castleton and Edale from the station lane at Hope our walk will take us on part of this ridge. 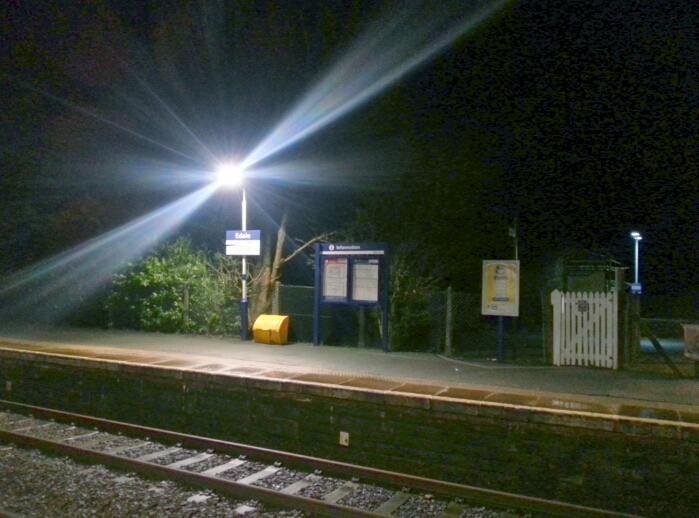 Joining the main road at the End of the station lane. Once you have turned right you will quickly enter Hope. Once in Hope there are cafes a shop and pubs. 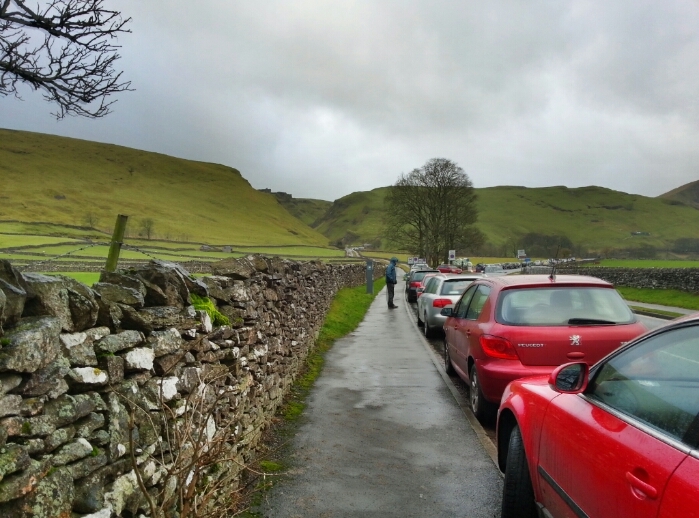 Keep following the main road through the village towards Castleton. You will pass under a railway this is a branch line off the main Sheffield to Manchester railway leading up to the Hope valley cement works. Passing under the branch line to the Hope valley cement works. 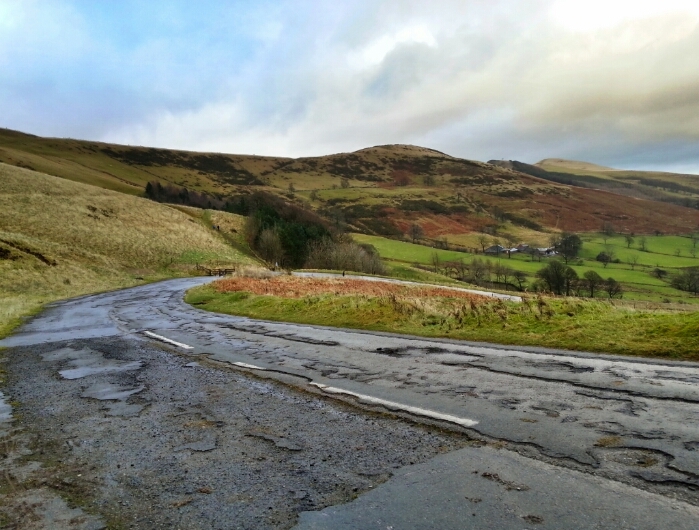 Looking towards Castleton from the main road from Hope to Castleton both Pevril castle and the Winnats Pass can be seen in this shot. 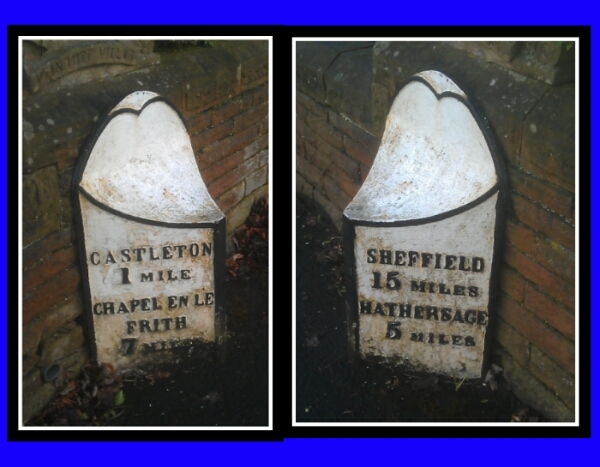 A historic mile post between Hope and Castleton this road was originaly the Sheffield to Manchester Turnpike. 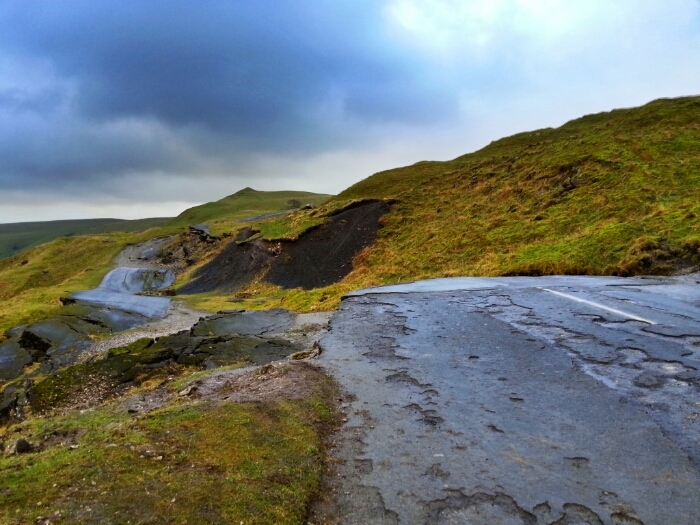 we will be following this road and the remnants of this road to the Blue John mine nestled under Mam Tor. 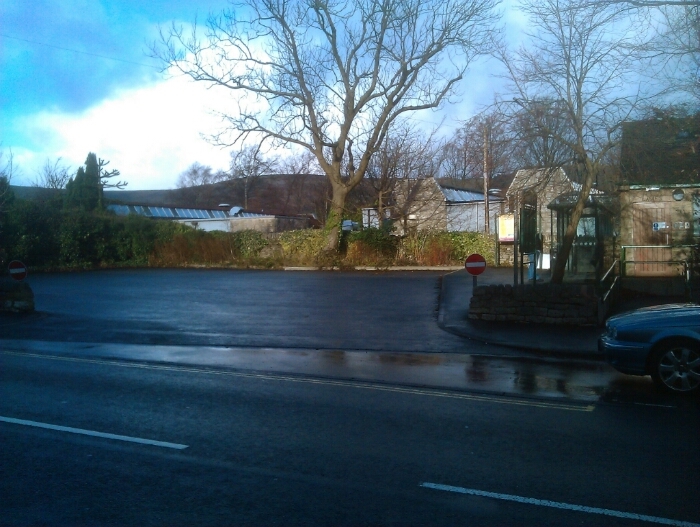 If you had chosen to catch the bus from Sheffield or Hope station to Castleton rather than walking from Hope this is where it would drop you off. 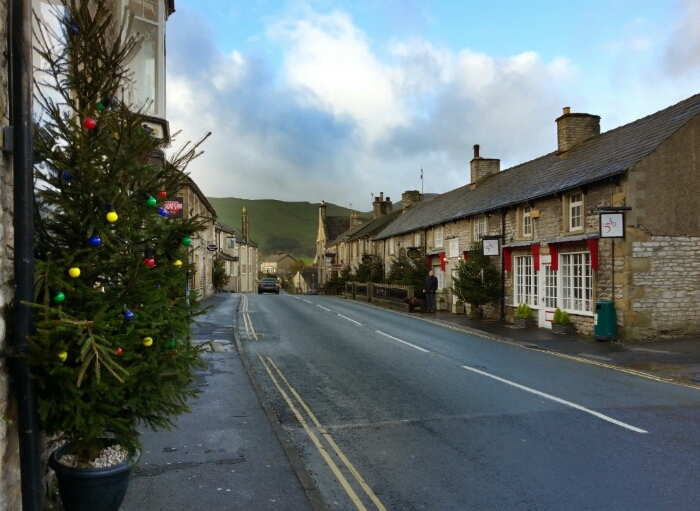 Once in Castleton there are pubs, cafes, shops and even a very good fish and chip shop. This is an excellent place to linger and look round. Castleton is also famous for it's show caves and the totally unique Blue John stone. 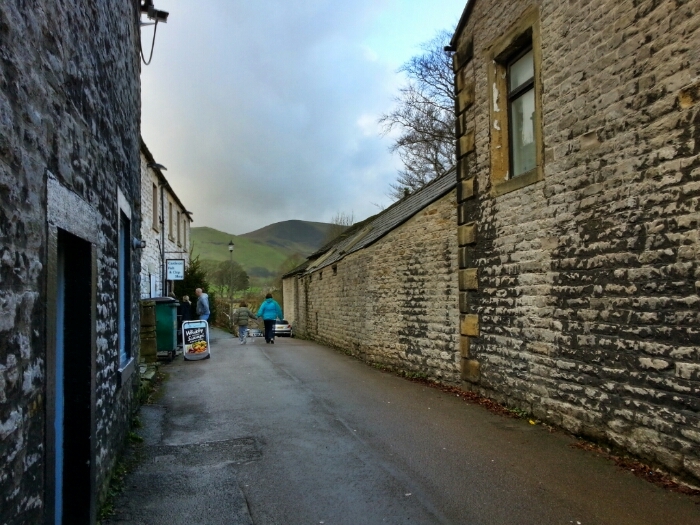 Looking towards Mam Tor from outside the fish and chip shop in Castleton. 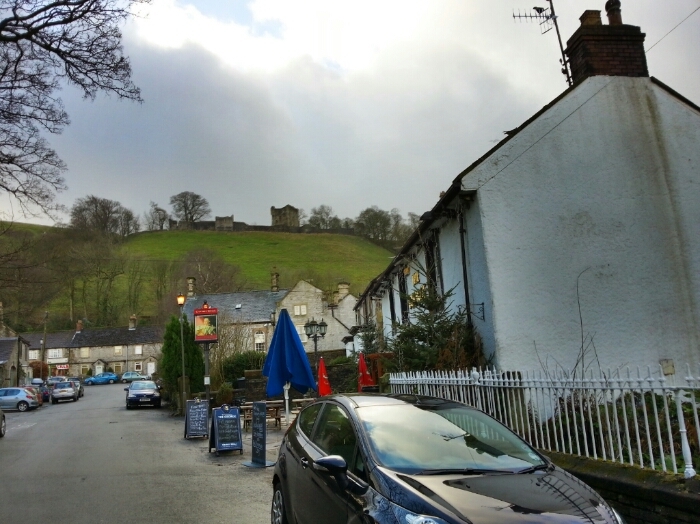 Looking up to Peril Castle from the centre of Castleton. The river that flows out of Peak Cavern which is a short walk from here. 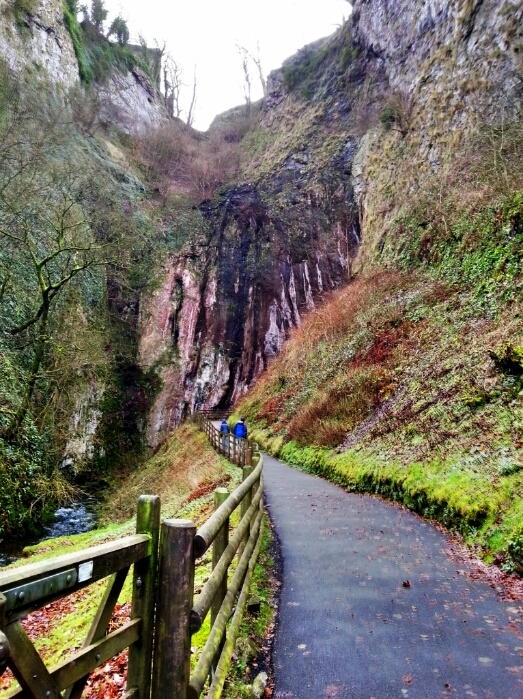 The path on the right hand side is the start of the walk up to the cavern entrance. Approaching the entrance to Peak Cavern. This is an impressive place. 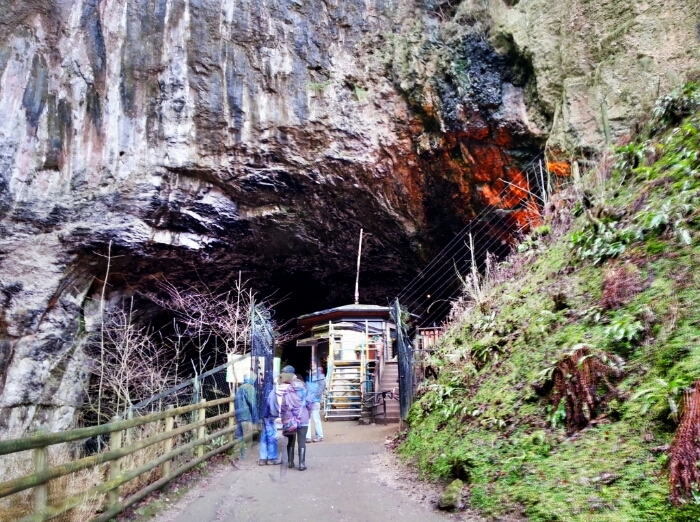 Peak Cavern is known locally as the Devils Arse. The entrance to Peak Cavern the air is really still at this point almost eerie. 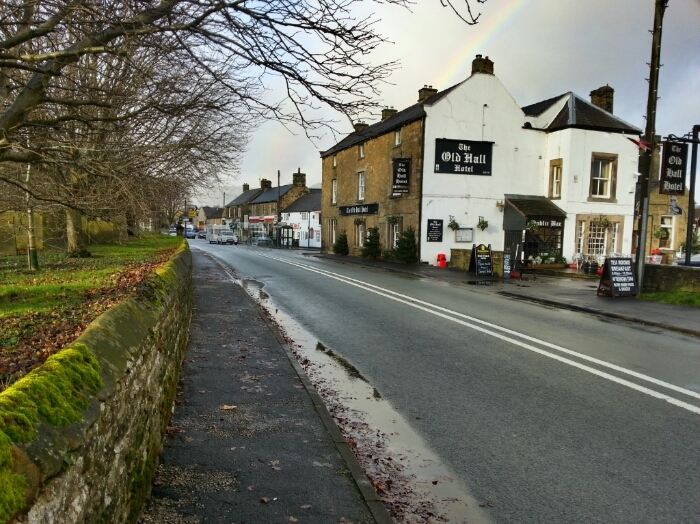 The main road through Castleton. 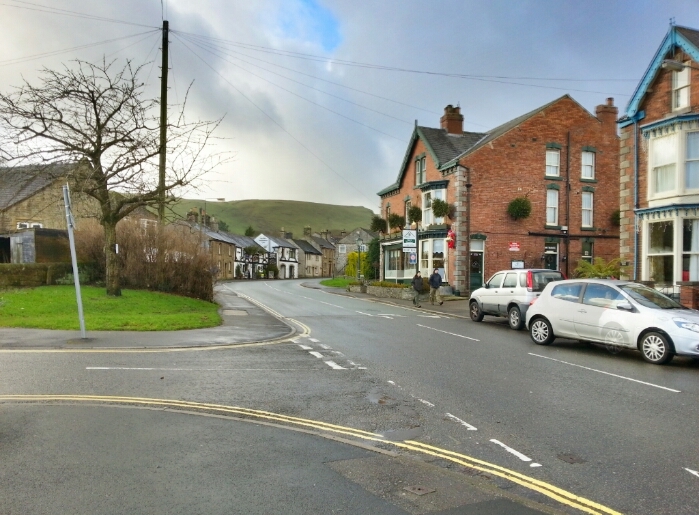 Once you are ready to leave Castleton head back to the main road and continue in the same direction as you were headed before. 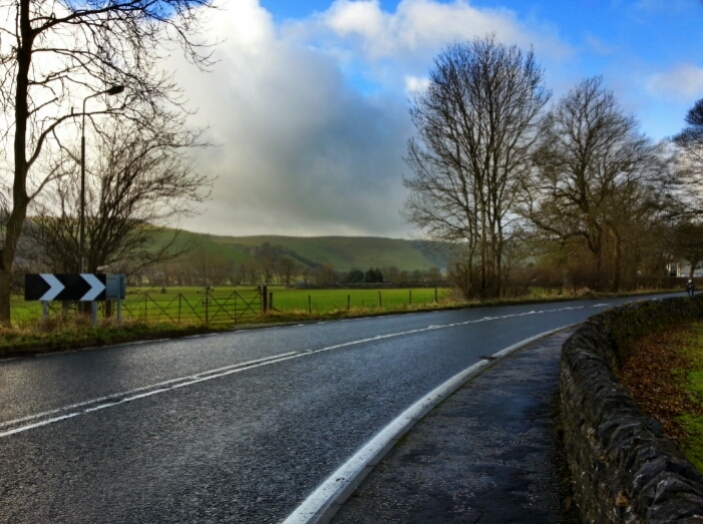 As you head along the road you will see a left hand turn that heads to the Winnats Pass. This is the road that through traffic now has to take as what was once the main road is now closed further along it's route due to subsidence. 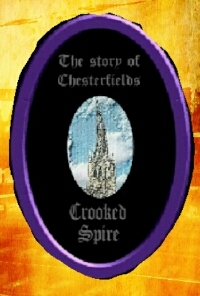 As we are on foot we are going to stay on the old main road and follow it's course. 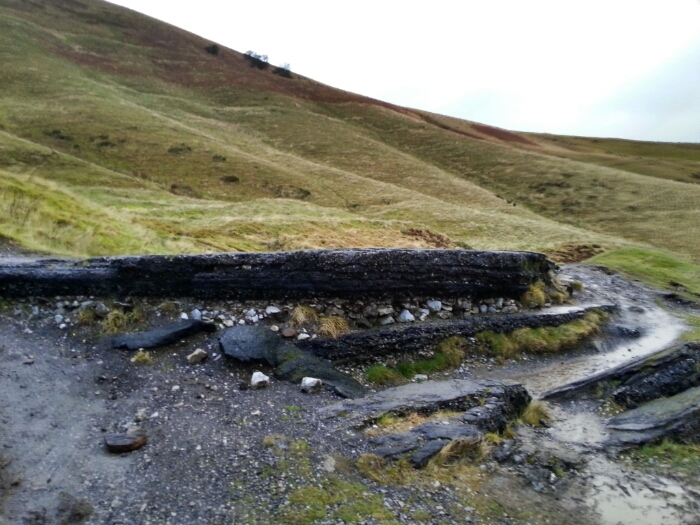 The old main road continuing towards the foot of Mam Tor. Treak Cliff Cavern another of Castletons cave's can be seen on the hillside ahead. 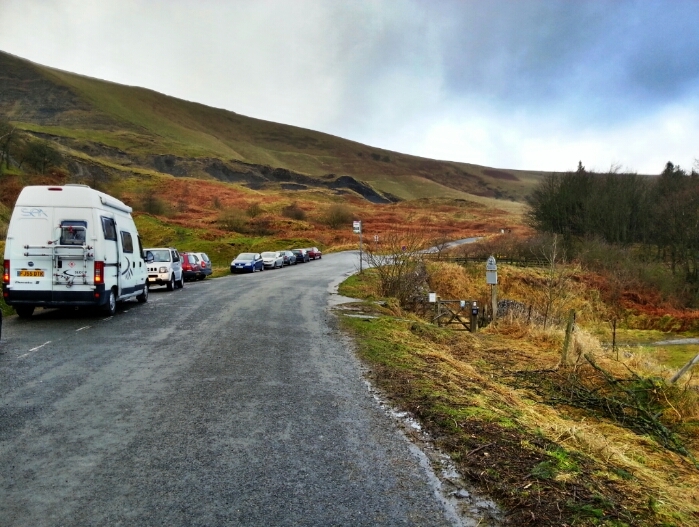 Keep following the road past Treak Cliff Cavern eventually you will come to the end of the easily useable road. The End of the road. 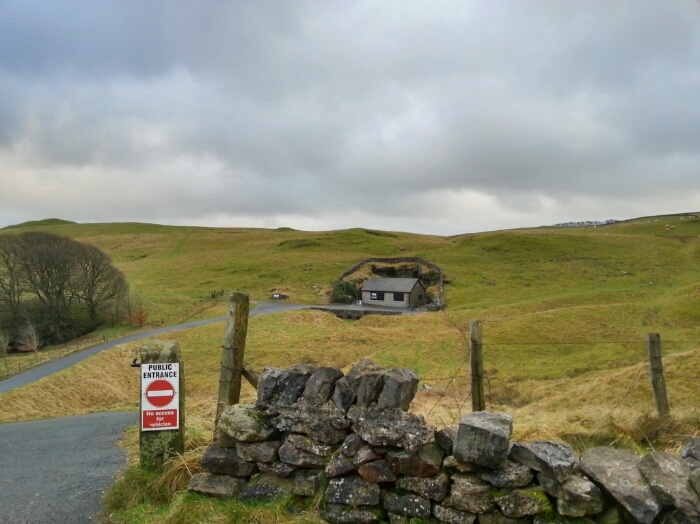 Bizarrely there is even a little used bus stop here used by busses bringing passengers up to Treak Cliff Cavern. 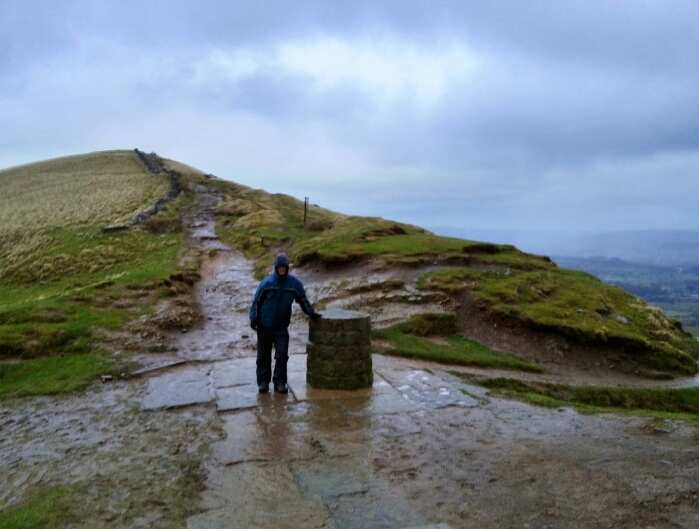 You are now starting to climb the Mam Tor also known as the slippery mountain. Beneath is a picture of a sign at the end of the usable road detailing a brief history of the road and how it came to be closed in 1979. Details of how the road came to be shut as a child I remember traveling this road regularly in cars and even Once on a National Express coach making for Landudno and seeing cement wagons making their way up and down, all very hard to imagine now looking at some of the pictures below. The first sign of a sinking road. The route is very easy to follow just follow the line of the old road. Looking back from higher up. Looks no worse than some roads in Sheffield looking this way lol. To be fair though even Sheffield doesn't have potholes this big. Looking up the road and how nature has destroyed the road. 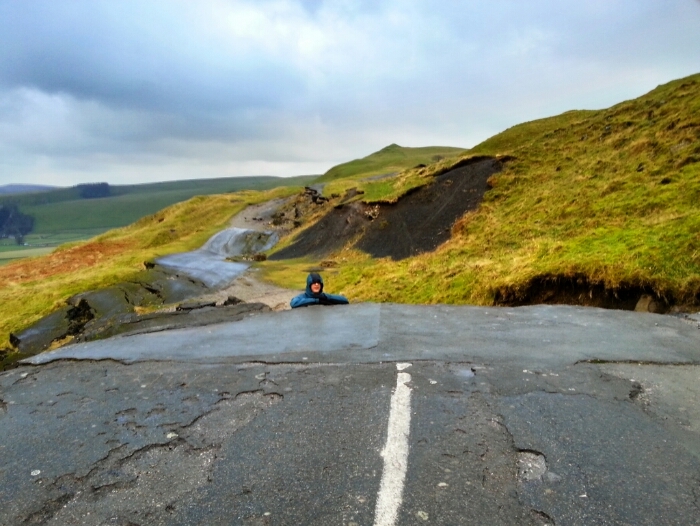 This picture puts the collapsed road into perspective. 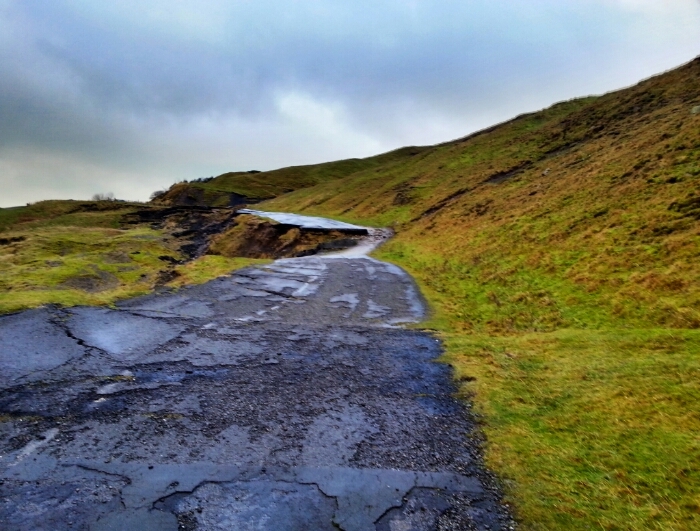 This picture gives an idea of how the road has slipped away. The way ahead and what's left of the road. Looking back at the old road the extent of the damage can be seen from here. Hard to believe this was once a major road. 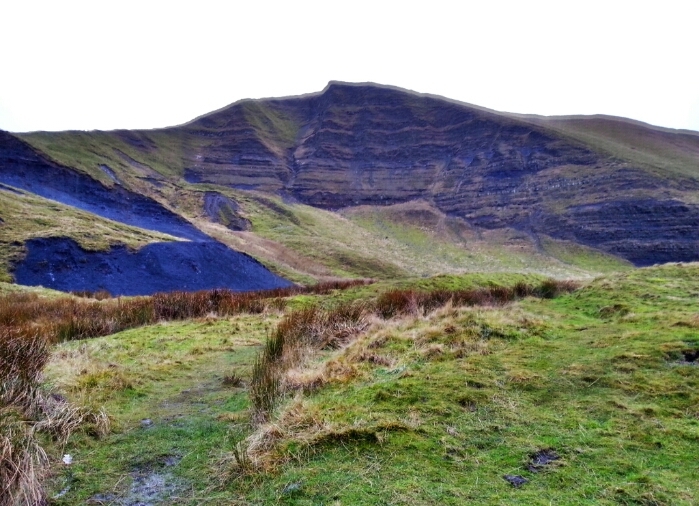 Full view of Mam Tor of which we are making for the summit. 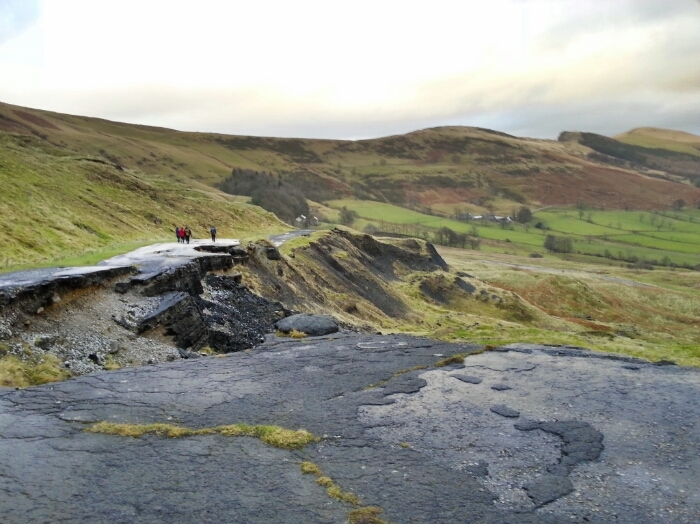 You will shortly leave the collapsed road and enter what is now the car park for the Blue John mine. 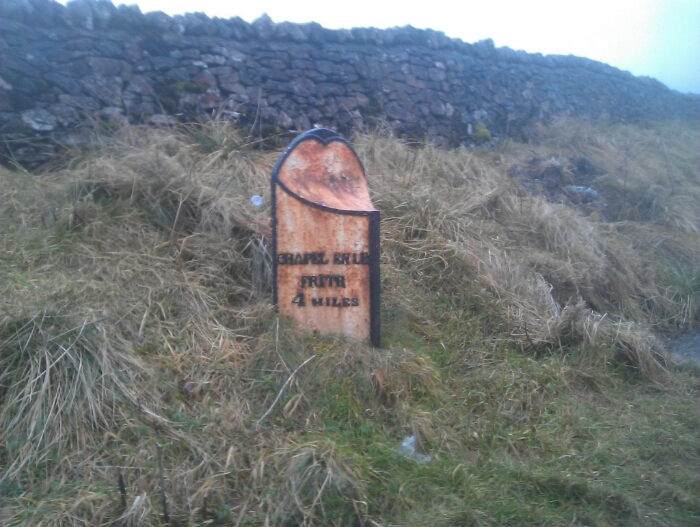 This of course was once the main road. The entrance to the Blue John mine in my opinion this is Castletons best show cave. To see the Blue John Mines website click here. 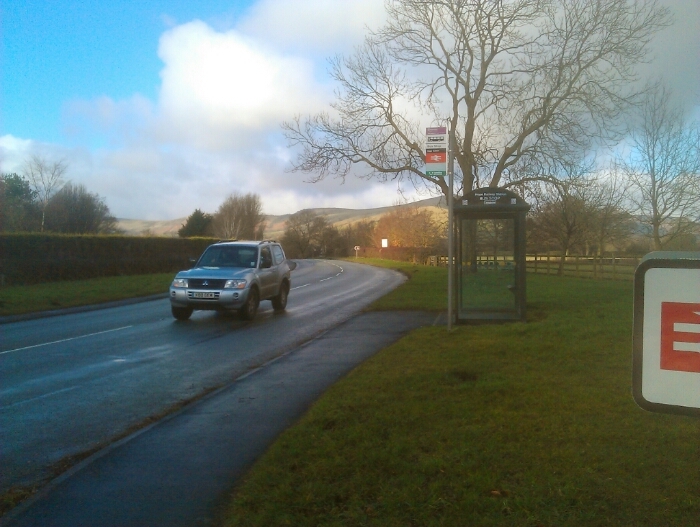 This must be one of the most unusual bus shelters in the country. 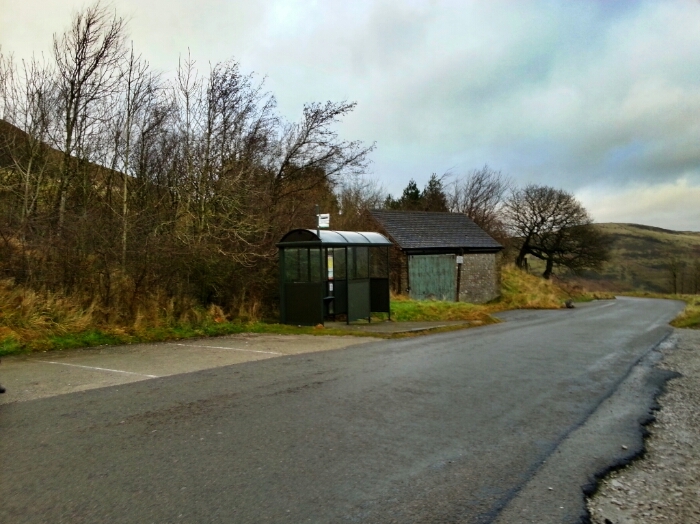 Used by infrequent buses in a remote place it is there to provide shelter for bus passengers who have visited Blue John mines. 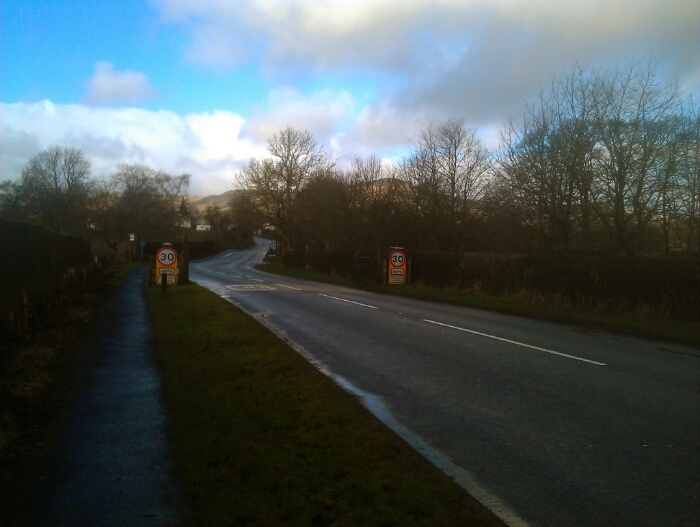 From the Blue John main keep straight on you will join what is now the main road and Pass the milepost shown below. 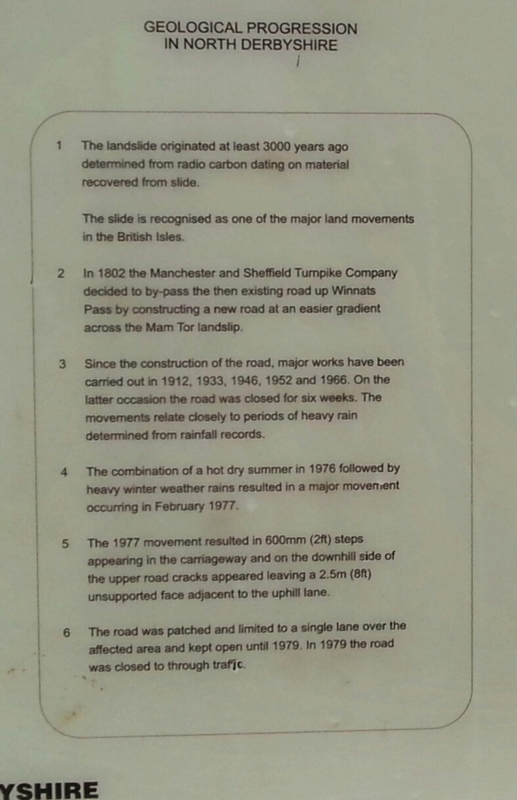 We have been following what was originally the Sheffield to Manchester Turnpike all the way from Hope you may have noticed quite a few mile posts this is the last one before we leave the road to head for the summit of Mam Tor. Shorty after this there is a stile on the right go over the stile and follow the path up the hill to Mam Nic. 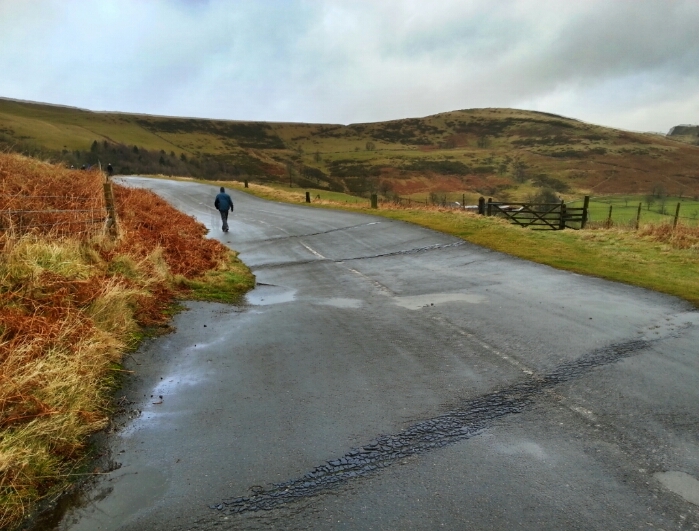 Once at Mam Nic you will see the road that runs over to Edale Follow the steps straight ahead these will turn right for the final climb to Mam Tor summit. Mam Nic you already feel very high up at this point. 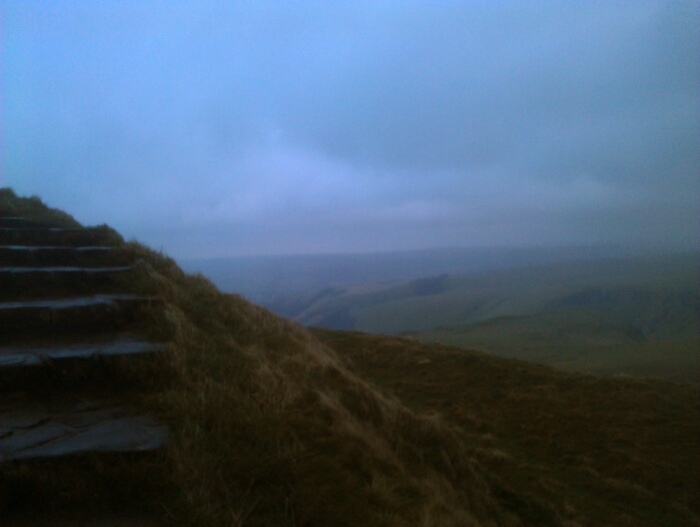 The final climb to Mam Tor Summit I did this walk on the 1st of January 2013 at this point the wind was becoming relentless. 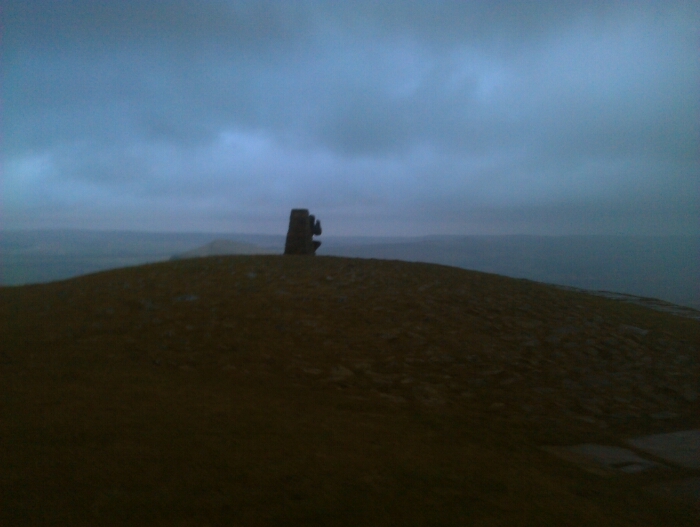 The summit od Mam Tor we are now 1,696 ft above sea level. When I took this photo it was a constant battle with the wind just to stand still. 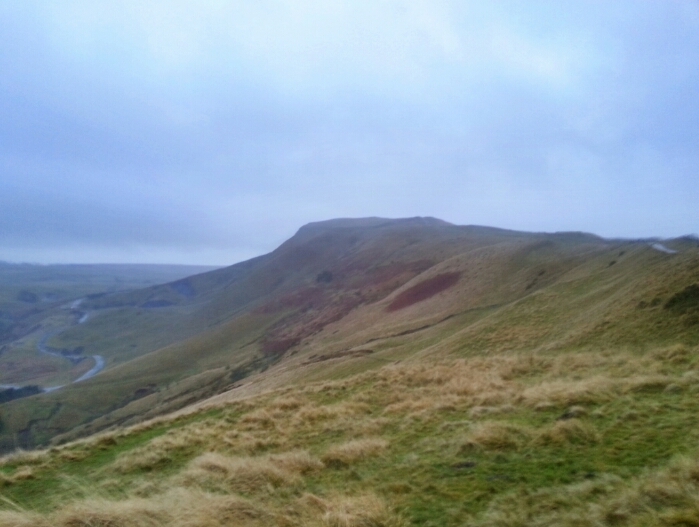 Looking towards the ridge between Castleton and Edale from Mam Tor summit. Once you are past the summit follow the paved path down towards the ridge this is really the only route you can take. 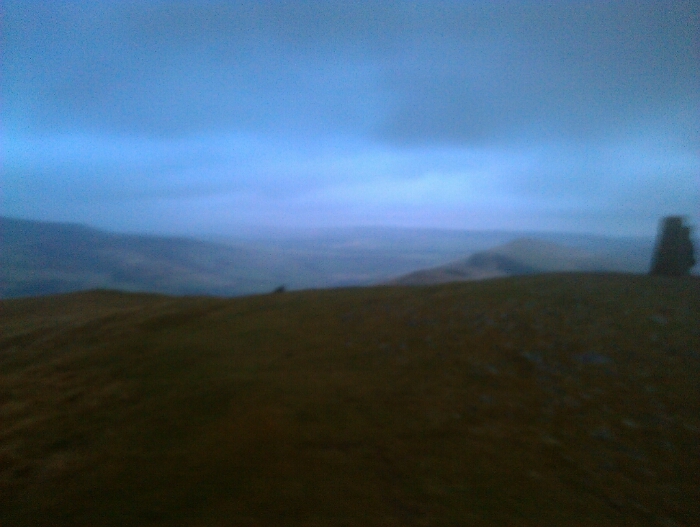 Heading towards the ridge and Hollins Cross. 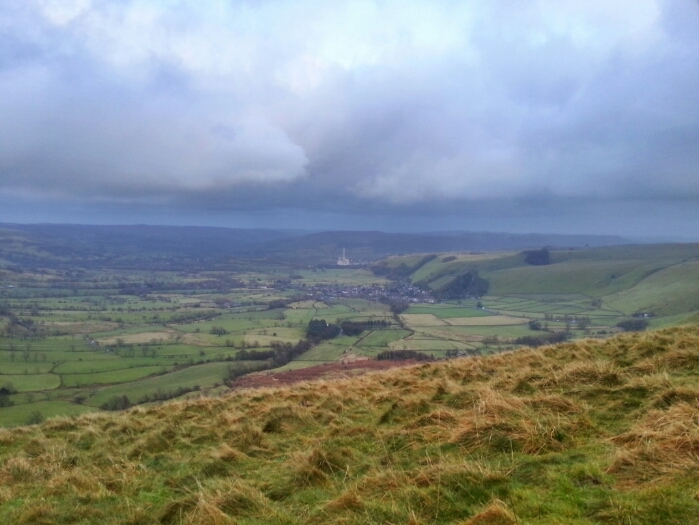 A view of Castleton below us. The Hope cement works can also be seen in this picture. 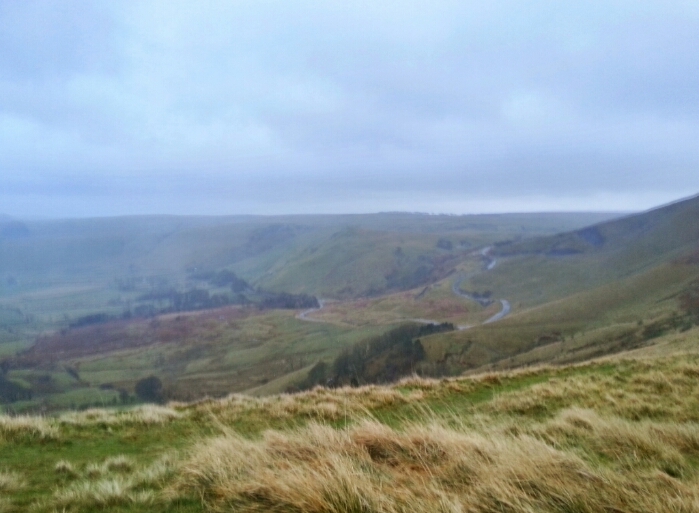 Looking along the ridge towards Hollins Cross. 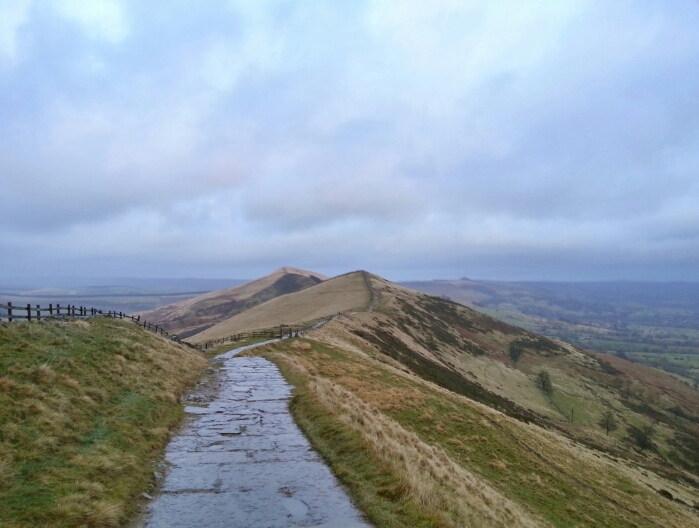 Looking back at the old road up Mam Tor that we made our way up on. 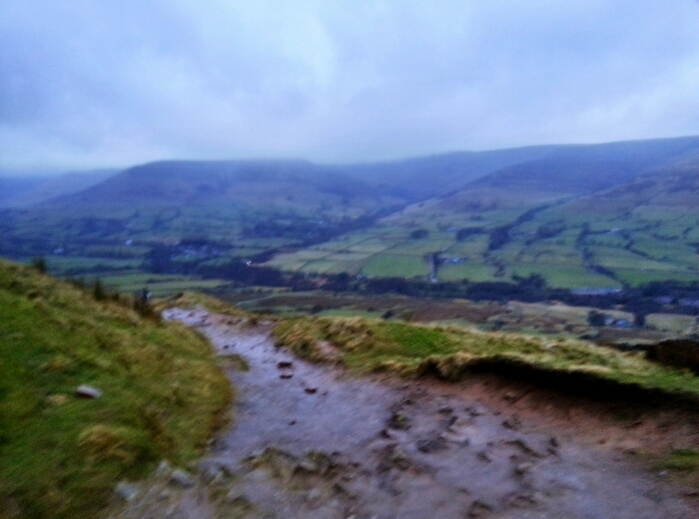 Looking back at Mam Tor. 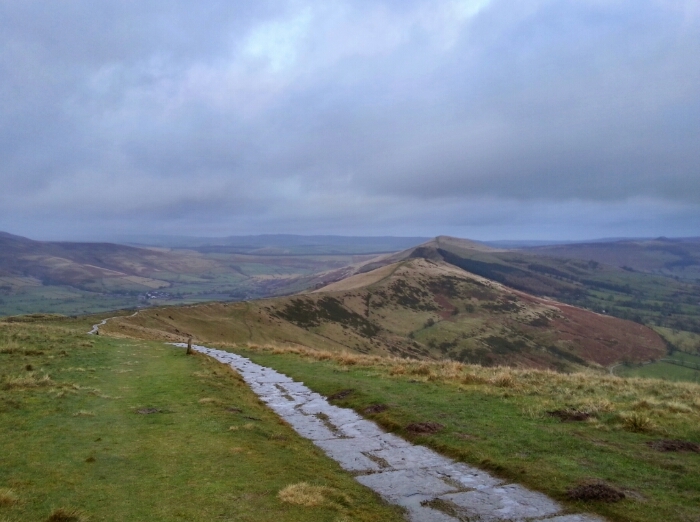 When you arrive at Hollins Cross turn left and head down the hill to Edale which can be seen in the valley below. 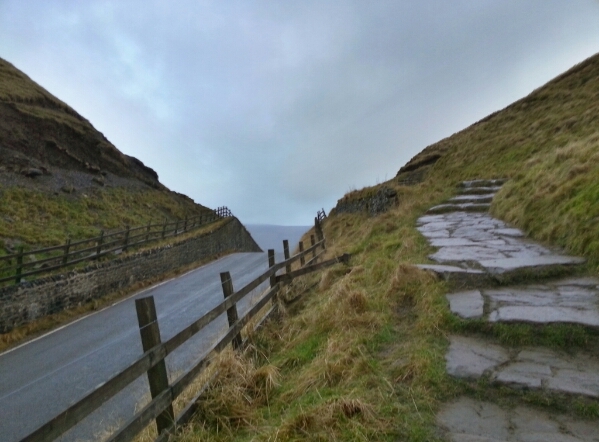 keep following the path down you will eventually cross a stile and then hit a farm track follow the farm track when you reach the road turn left follow this to Edale turn right to the Station and then keep going up to the village centre. 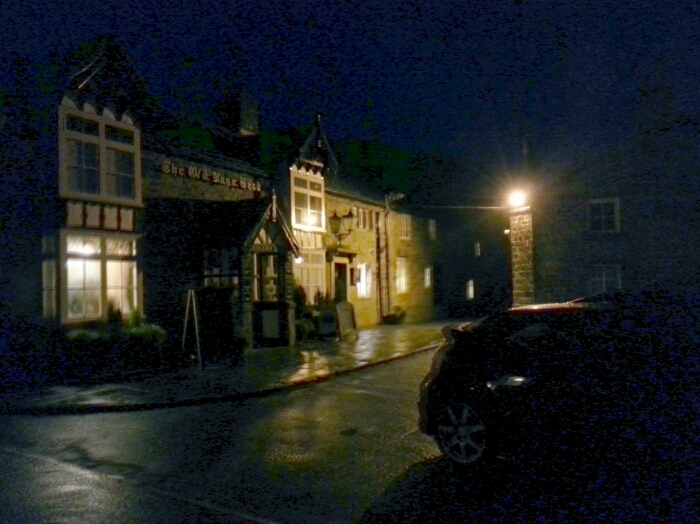 This is where the Nags Head pub is. 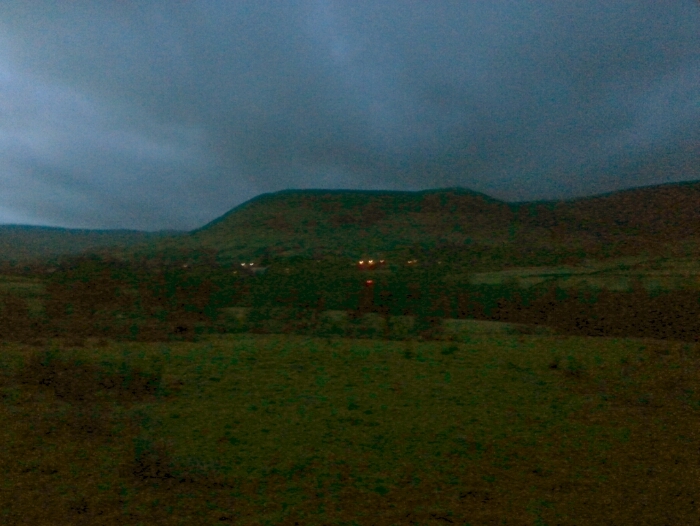 Ask dusk descends the lights of Edale ahead. 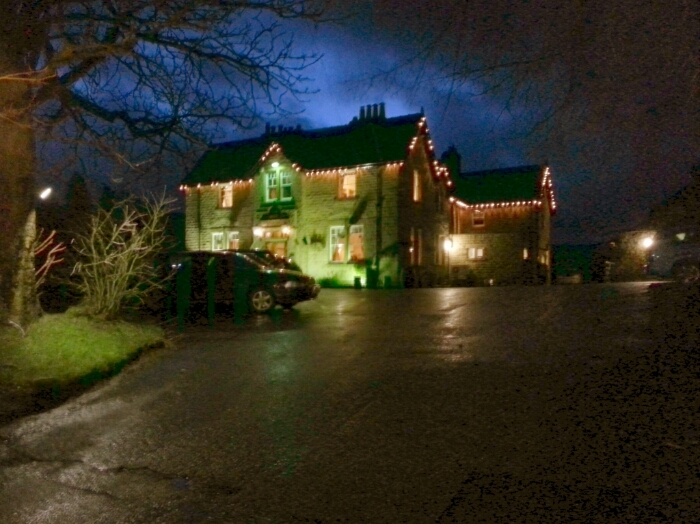 Journeys End the Nags Head pub Edale a great place to relax after the excitement of the day. From Edale the easiest way to return home is on the train there are buses in the day but a very limited service the trains run until late into the evening one of the benefits of being on a major rail route. 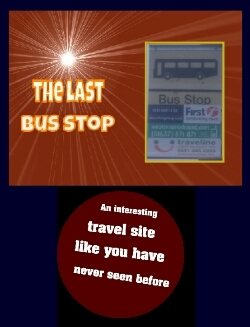 See travelline for details of times etc.